Ulster Unionist Demonstration 1912 badge with pin fastening. 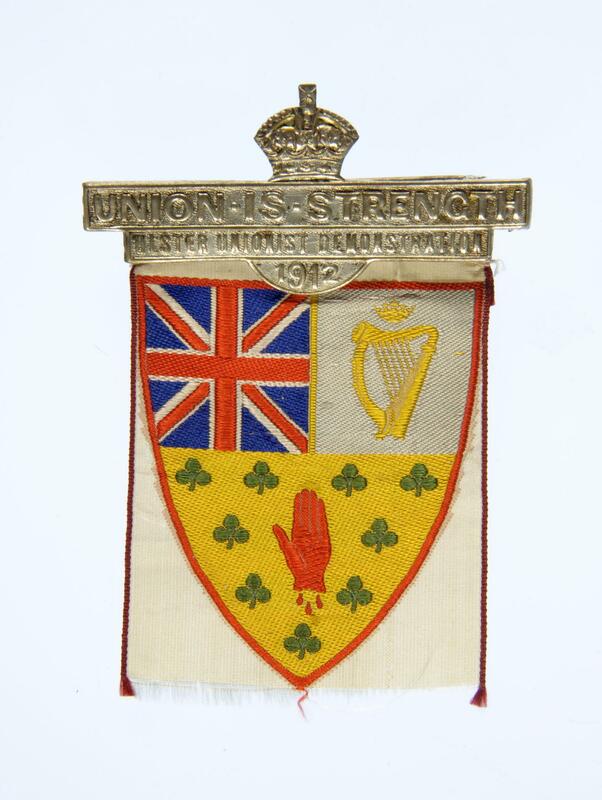 Inscribed "UNION IS STRENGTH ULSTER UNIONIST DEMONSTRATION 1912". Attached to the bar a woven shield shaped badge, on the top left the union flag in full colour, top right a crowned harp in gild on a light blue ground. The bottom half has 9 green shamrock, a red hand in the centre all on a gold ground.